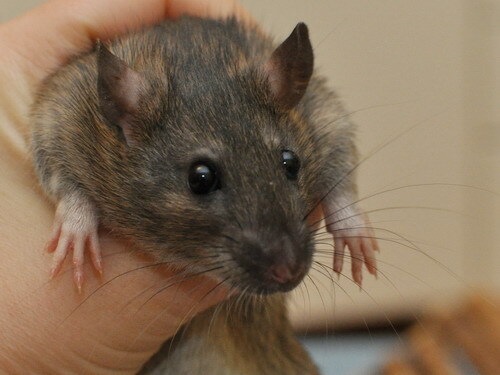 Health: Mammary lumps and spayed at 19 months. 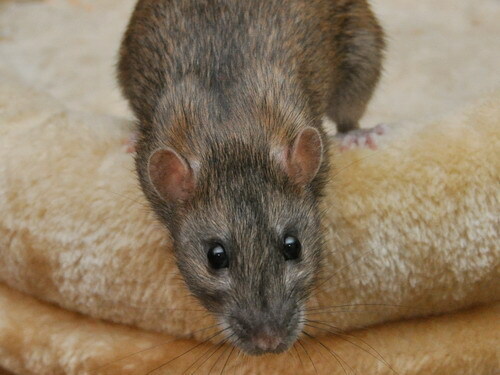 Temperament: Very active and naughty, yet attentive. 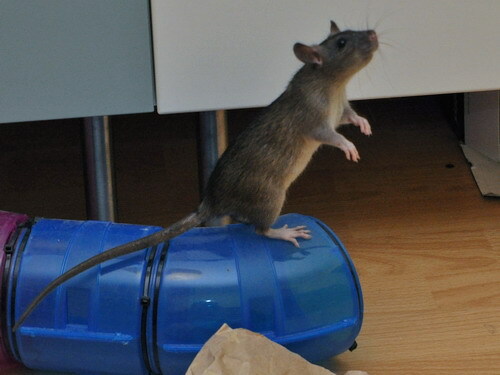 Loves to climb and tunnel and get up to mischief. 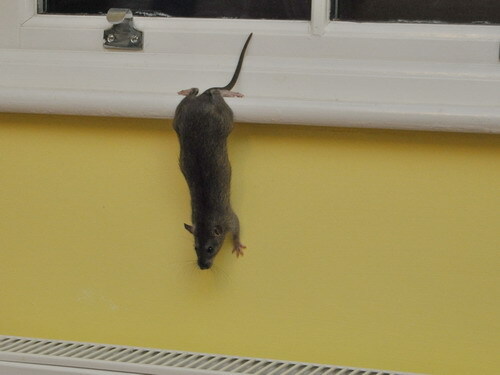 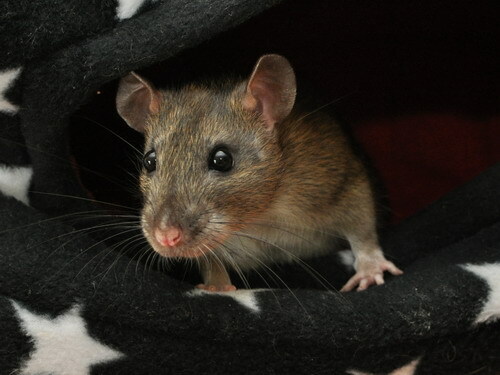 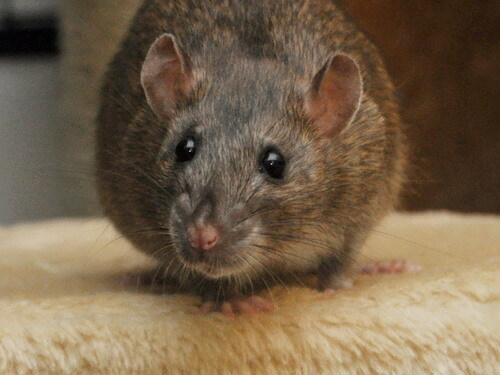 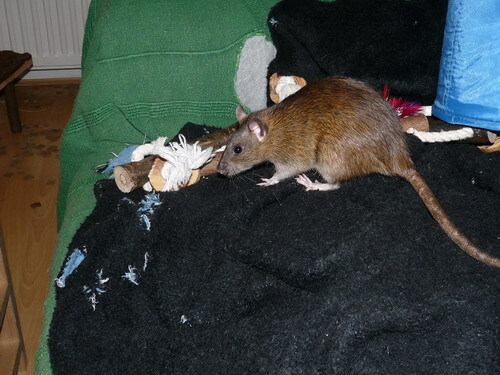 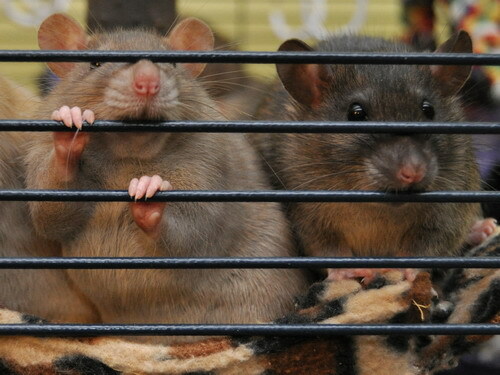 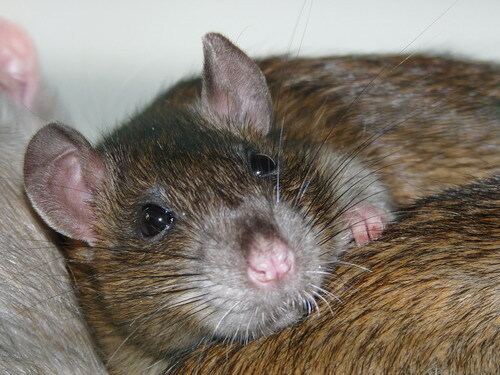 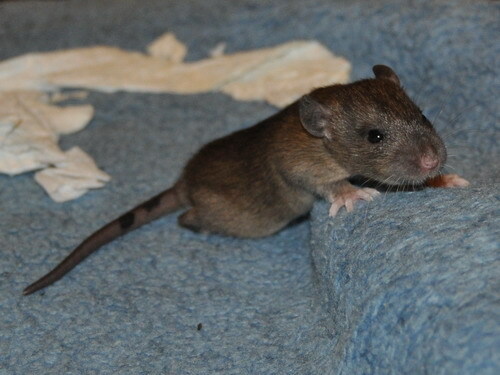 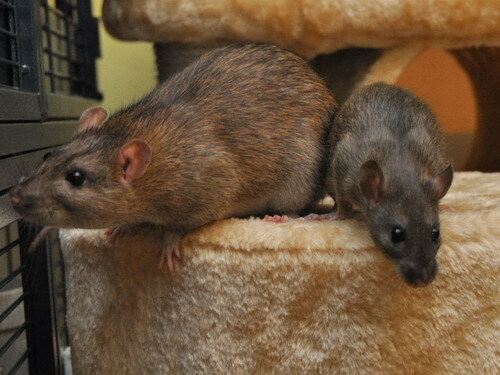 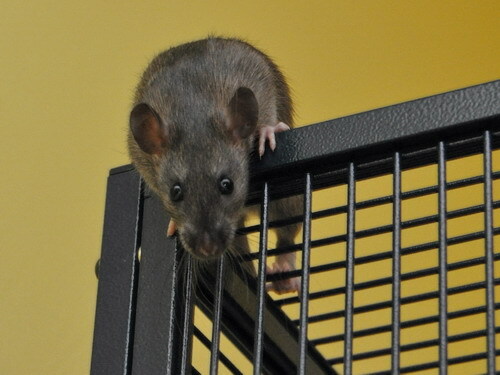 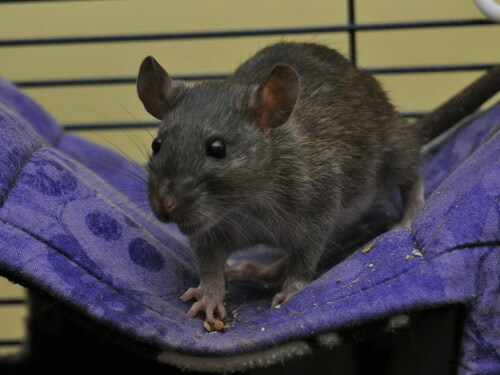 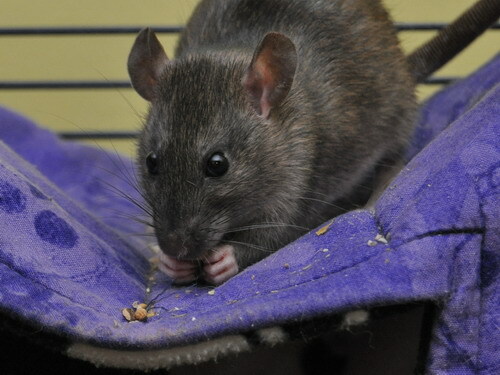 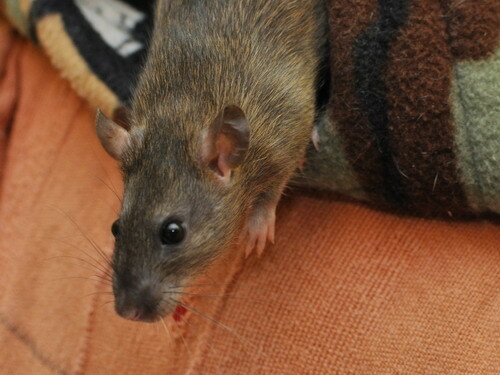 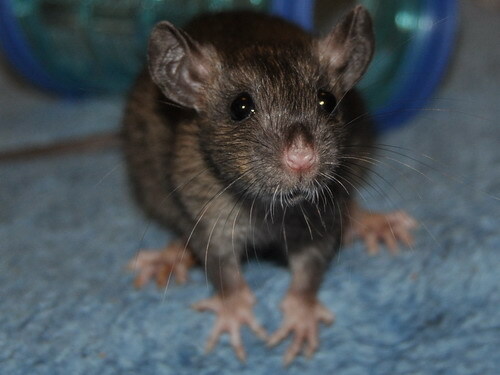 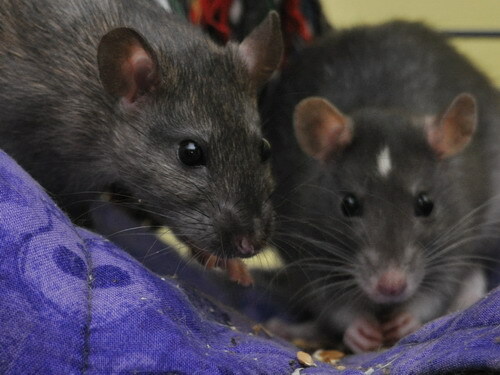 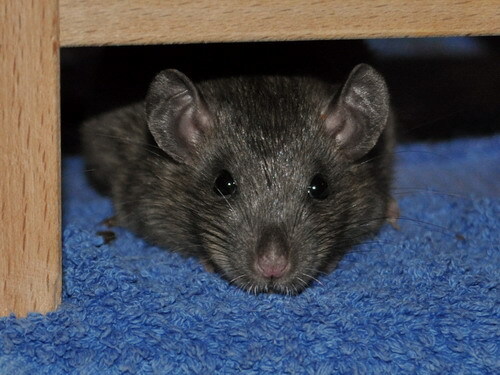 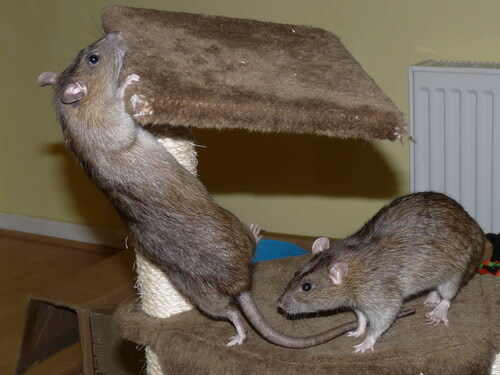 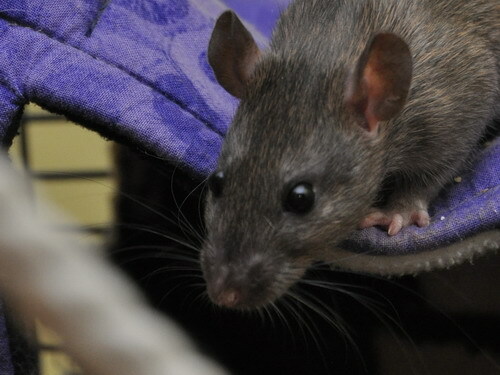 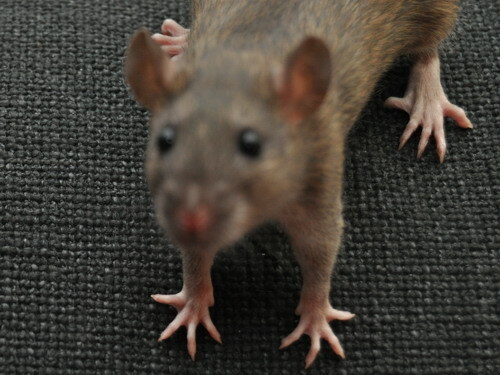 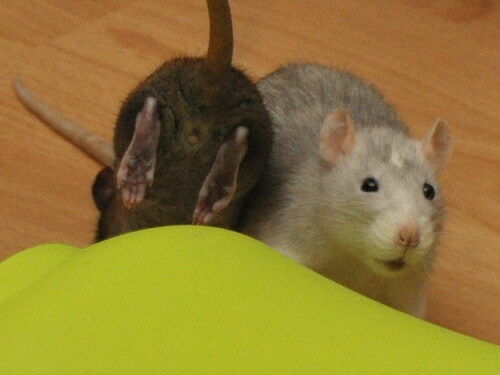 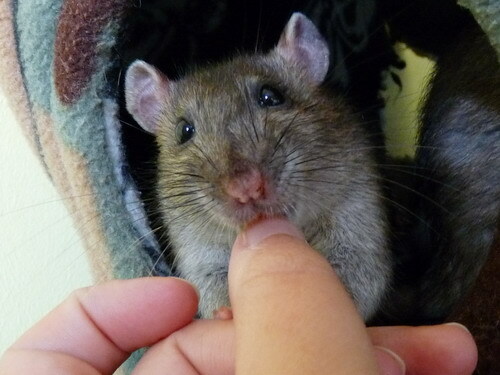 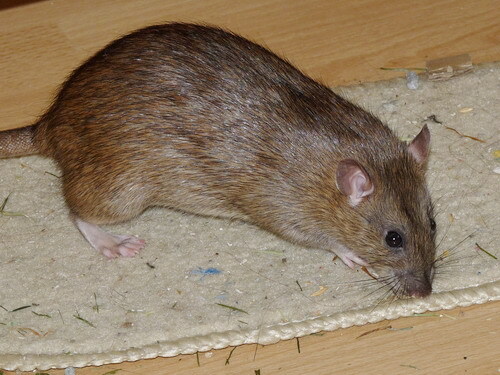 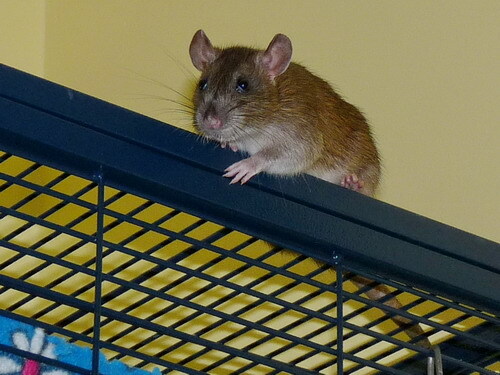 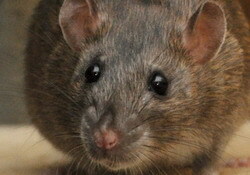 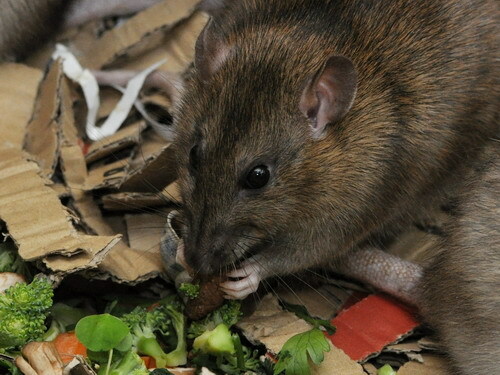 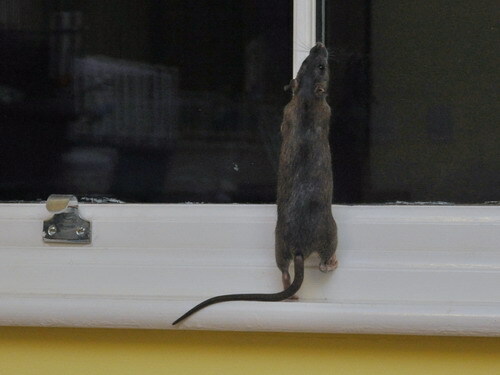 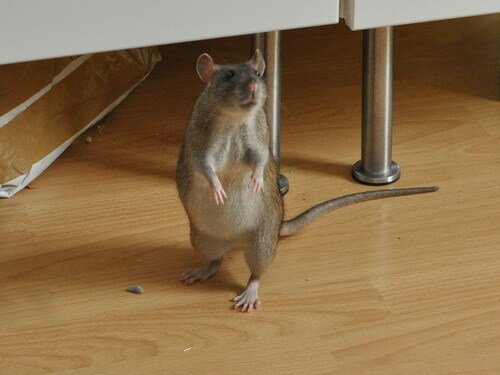 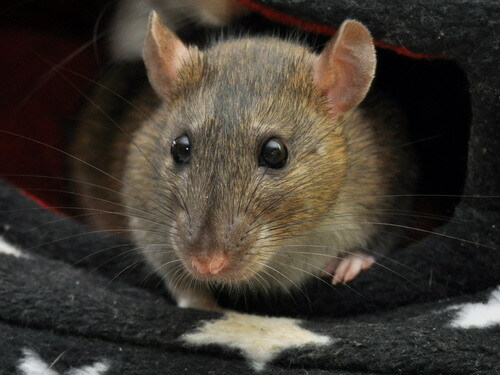 02/03/2015: Notch was incredibly special to me for so many reasons, both symbolical with regards to what she has meant for my breeding, and more direct in terms of being a fantastic rat who I really connected with, so this was a very difficult loss. 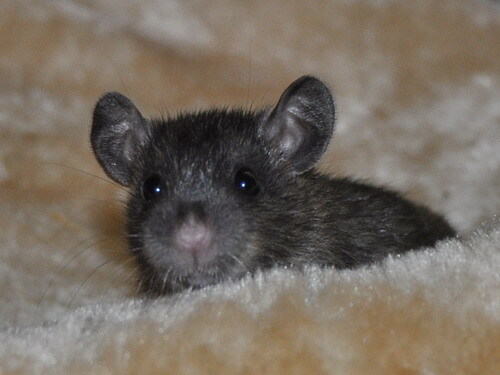 She was so beautiful and I remember looking at her in awe so many times and thinking "I can't believe I bred her". 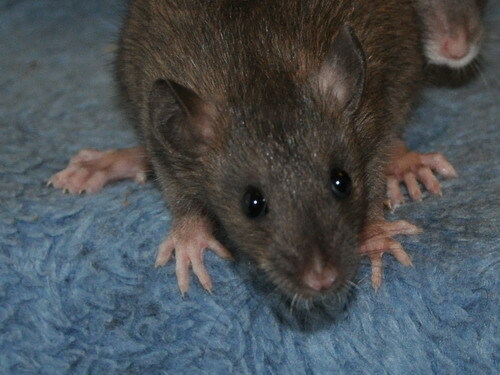 She was my first varieties champion and attained my studname on her wins. 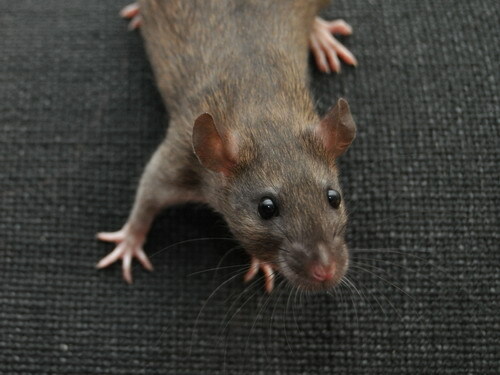 She had an amazing litter including Malone and Delaney, who inherited many of her best traits and have in turn passed them on to their offspring. 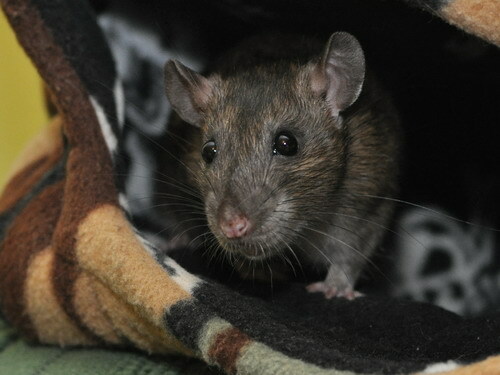 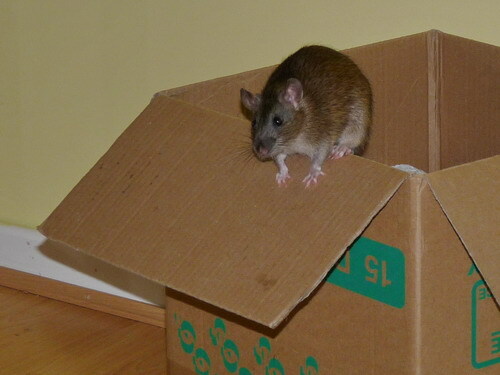 Notch was a headstrong feisty lady who had an unbelievable curiosity and zest for life. 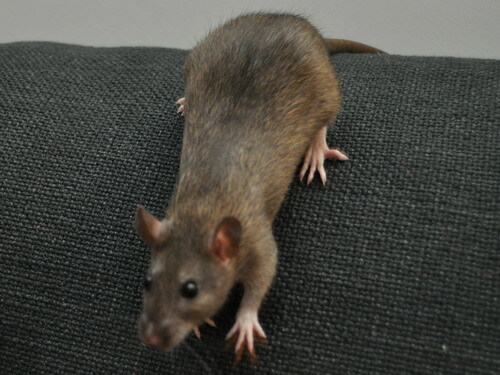 Unfortunately she had a succession of no less than 3 mammary lumps, one of which grew incredibly quickly and was all calcified inside, but they were all successfully removed and she came through the surgery very well every time. 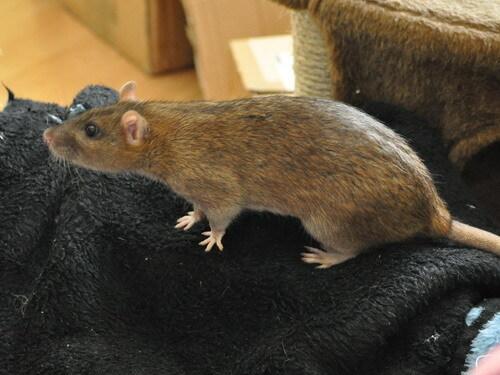 She was very fit and vital up to a couple of weeks before her death, when she suddenly slowed right down. 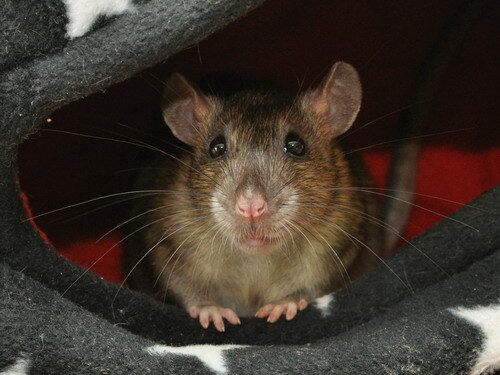 She passed away quietly at home, all snug in the cube with two of her friends, just over 28 months old. 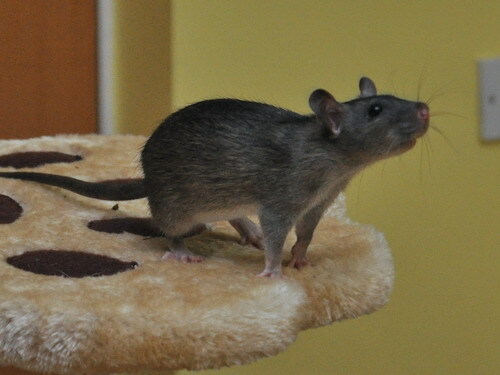 I know you'll play hard at the bridge Notchers, and you'll be in my heart always. 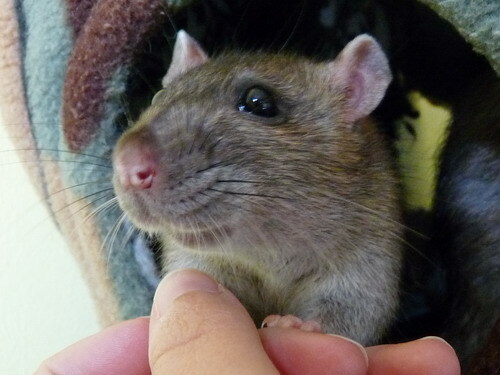 Notch is a fantastic little being - a stunningly beautiful doe who (for me) embodies the physical essence of rattiness. 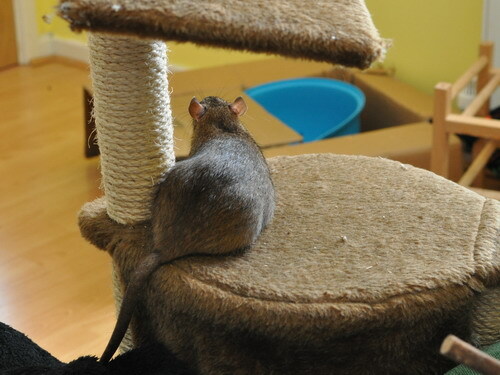 I fell for her as a very young kitten because of her engaging personality. 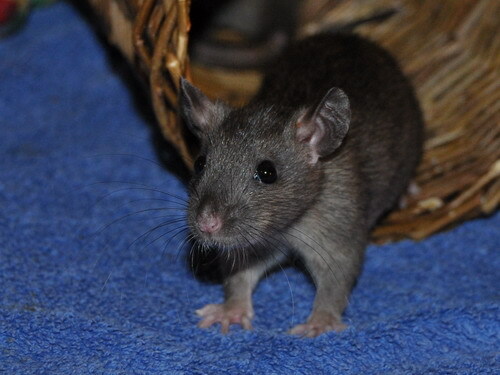 She is clever, incredibly agile and active, and really loves to jump, climb, balance, dig, tunnel and run. 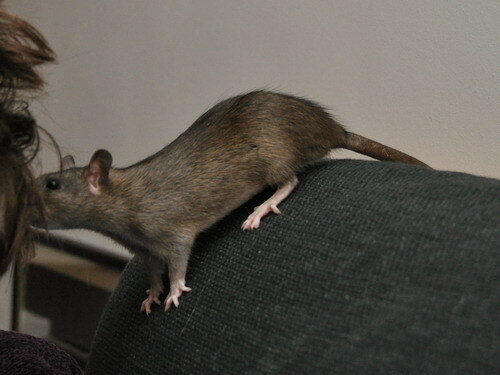 And conquer the world! 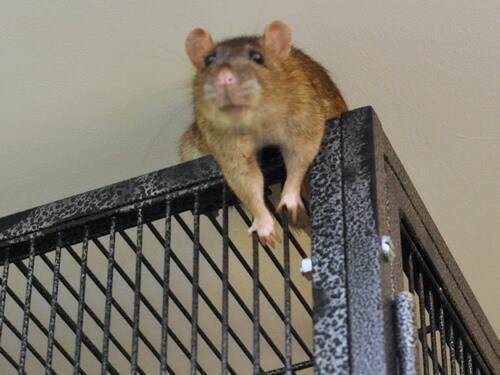 She has always been high up in the hierarchy, verging on bossy as she's aging, and as far as I can tell she is the alpha of the group. 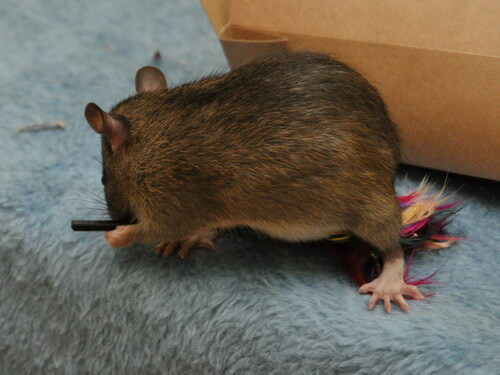 Quick-thinking and quick-moving, she is always on the ball. 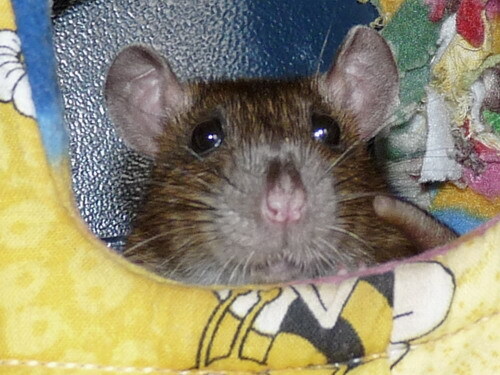 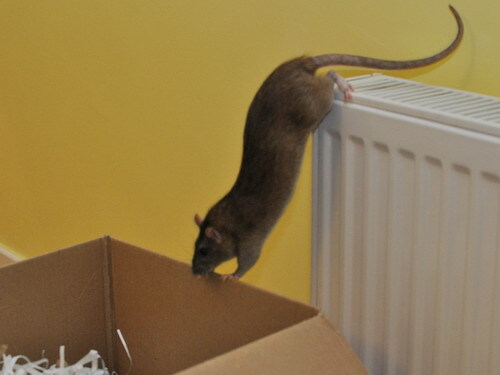 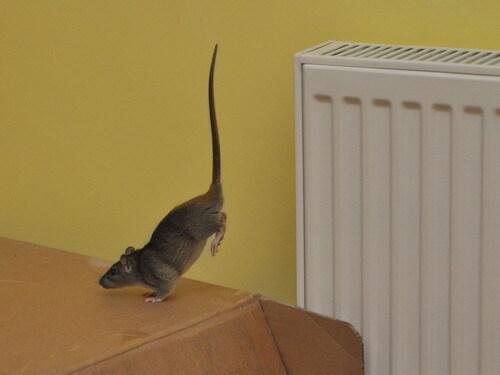 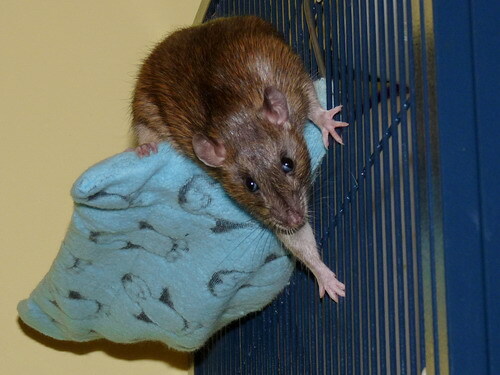 She is a really fun rat, always up for highjinks and keeping me well and truly challenged!